Miniaturized Chromatographic Quality-Control Procedures for Tc-99m Radiopharmaceuticals; A. Michael Zimmer and Dan G. Pavel, Journal of Nuclear Medicine, Vol. 18/12, Dec. 1977, pg. 1230. Technical Parameters Associated with Miniaturized Chromatography Systems; Raimund A. Taukulis, A. Michael Zimmer, Dan G. Pavel and Bhupendra A. Patel, University of Illinois Medical Center, Chicago, Illinois, Journal of Nuclear Medicine Technology, Vol. 7/1. 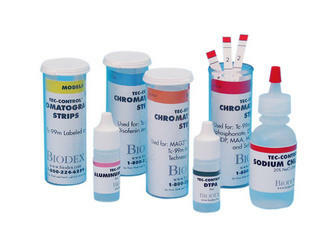 * See Sigma-Aldrich product matrix for solvents. Note: Customers outside the US should visit Sigma-Aldrich web site to locate a regional office.